When presenting SteelFusion to customers across a variety of roles- storage, virtualization and networking so I try and come up with some simple everyday analogies that anyone without deep technology expertise can relate to. While SteelFusion as a smartphone analogy is a very contemporary, and that of SteelFusion as a driverless car is a bit futuristic so let’s go back in the past and draw a parallel to something that’s been around for over forty years. The simple ATM—the one right around the corner where you dropped off the refund check or the one you stopped by to get some bills for the cash-only deli. 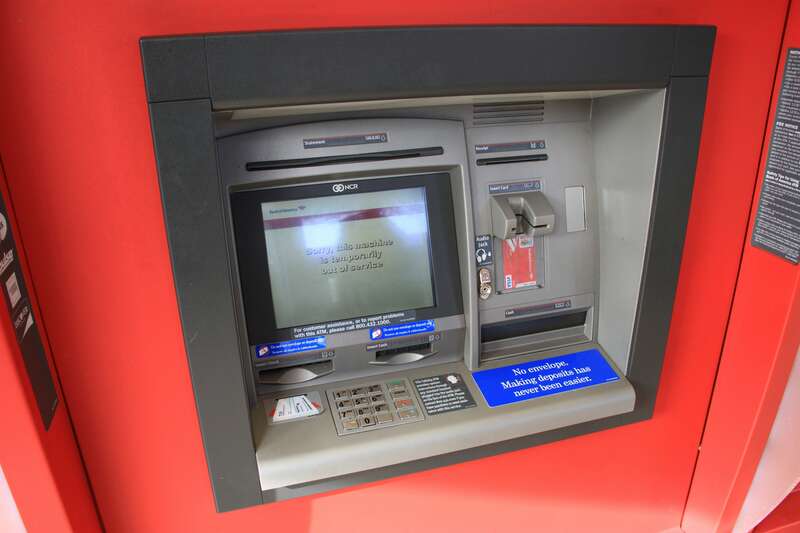 So what are some simple characteristics that made ATMs indispensable for decades? Stateless Operations: A user’s information is not stored on the ATM, all that information resides in PCI compliant bank records in a central data center. Not only is your information secure and accessible by using a PIN, you get the ability to transact anywhere—this means if an ATM is out of order, you can go to the ATM a few blocks away and have access to the same bank account information. Yet all of these are faithfully and securely updated back to the central mainframe your bank has in their data center. And if someone determined enough broke into the ATM, the bank only risks losing a very small amount of bills/notes stored without impacting their clients’ bank accounts. Application Access Anywhere: Just a couple of days ago, I went to watch our local baseball team, the beloved San Francisco Giants and as I stood in line to get some garlic fries, I saw a Bank of America ATM and thought I might as well grab some cash from one of the two machines there. I picked the one on the left and entered my PIN but the machine reported cash withdrawal was not available temporarily. And all I did was take a couple of steps to the right, enter the PIN on the ATM and I picked up the cash—all in time to pick up the order of delicious fries waiting for me. The key was that if services were unavailable at a site, I could walk or drive over to the next ATM and still perform all the operations available. So what does the nearly 50 year old ATM technology have in common with SteelFusion? Stateless Operations: Fundamentally the SteelFusion Hyper-converged Edge platform separates compute and storage—so compute can run close to users in their ROBO locations and data resides safely in the data center. This decoupling enables instant provisioning, instant recovery and complete protection of your applications in the data center, not disparate discrete entities running in tens or hundreds of locations. Caching: Just like the ATM doesn’t store the bank’s entire deposit of customers’ hard earned money, SteelFusion Edge only keeps a minor subset of data and yet every update is faithfully sent back to the data center across a WAN without impacting application performance. So not only is user experience not compromised but even if someone were to maliciously get access to the edge location a minor fraction of data is exposed. Application Access Anywhere: Imagine a complete site wide outage that customers see during natural disasters, or a power failure—now that’s comparable to when the first ATM didn’t allow cash withdrawals—in essence I didnt have access to services at a site. With SteelFusion, since all the data is stored centrally at the data center and updated in near real time, so when a site wide outage strikes, it is remarkably easy to restore services at a new site; an admin can simply remap data to a different location and use SteelFusion’s Boot Over WAN feature to instantly recovery services—most likely in the time it takes to walk to the ATM a few blocks away. So while ATMs may be going out of style with online banking, PayPal and Square coming to the forefront, when you are considering transforming your ROBO infrastructure and Edge IT have a chat with your Riverbed partner or sales team, to see how SteelFusion’s Software Defined Edge is like having money in the bank. For more information on SteelFusion visit here.